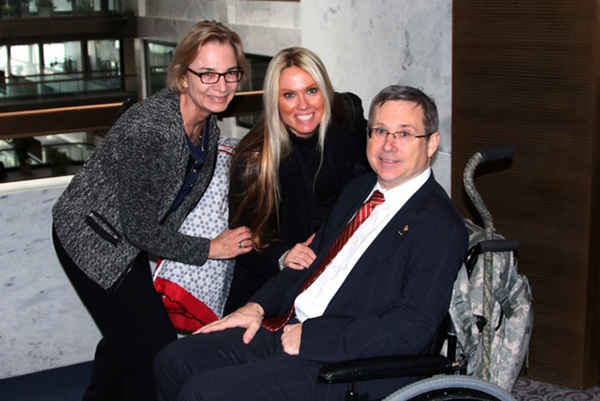 ATS President Patricia Finn, MD, left, with her Senator, Mark Kirk (R-IL), and PAR member Teresa Barnes. 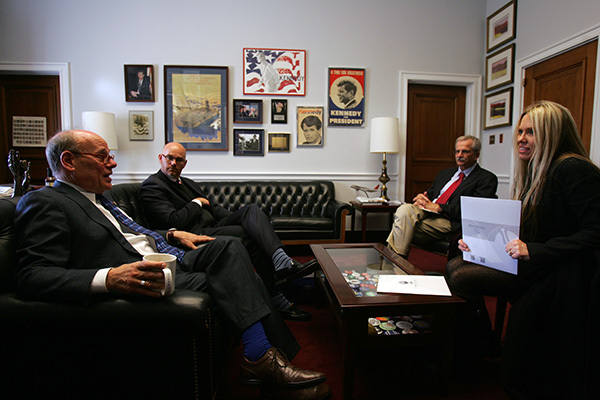 Staffer to Sen. Bennett (D-CO), from left, Carolyn Welsh, MD, Ivor Douglas, MD, and Jack Kelly, PAR. 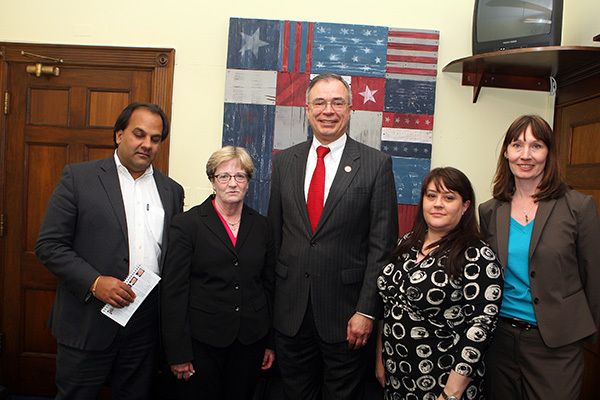 Rep. Andy Harris (R-MD), Chris Meekins, Deputy Chief of Staff, Atul Malhotra, MD, Rachel Damico, MD, Arlene Butz, MD, Nuala Moore, ATS staff. 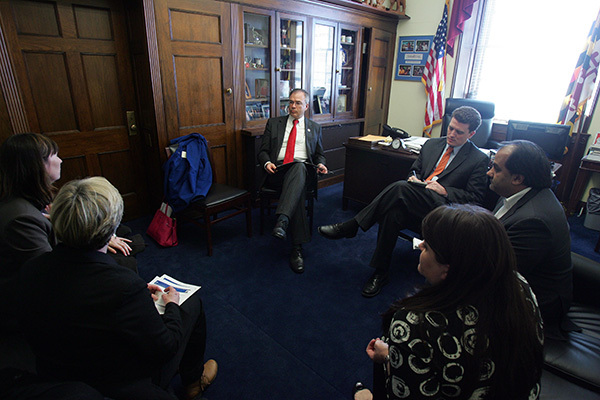 ATS officers and members from across the nation visited Washington, D.C., in late March to advocate for respiratory health as part of ATS Hill Day 2014. 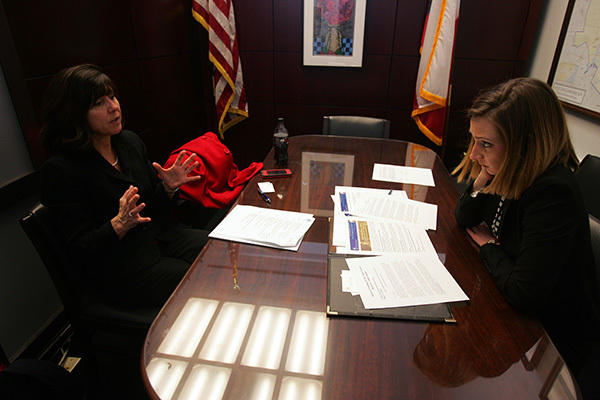 Several patient representatives from the ATS Public Advisory Round table joined in the efforts. ATS Chapter of Council Representatives and members from Arizona, California, Colorado, Connecticut, Georgia, Hawaii, Louisiana, Maryland, Massachusetts, Michigan, New Hampshire, New Mexico, New York, Ohio, Rhode Island, Tennessee, Washington, D.C., and Washington state participated. 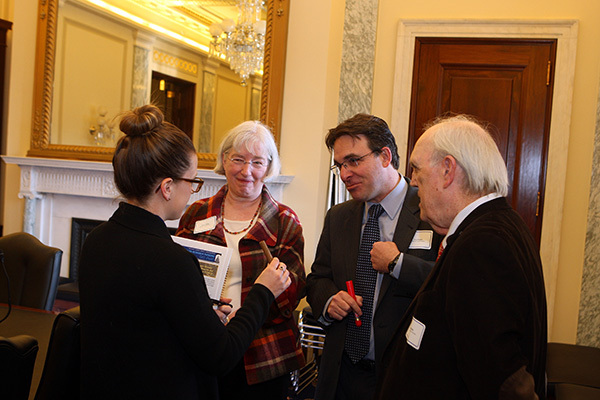 ATS Hill Day 2014 participants focused on five issues: NIH research funding, tuberculosis funding, tobacco control, a permanent fix to the Medicare sustainable growth rate (SGR) formula and Department of Veterans Affairs research funding. 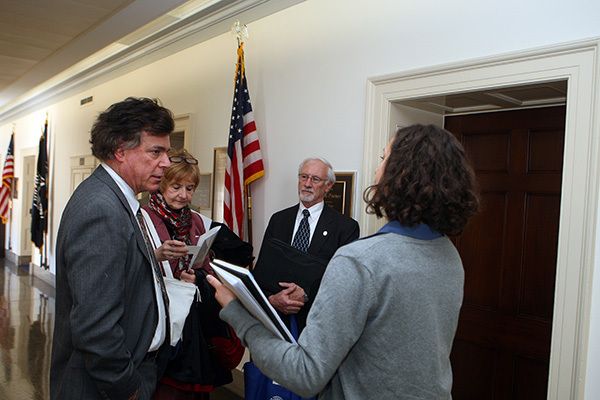 On research, participants urged Congress to provide additional funding to the National Institutes of Health. 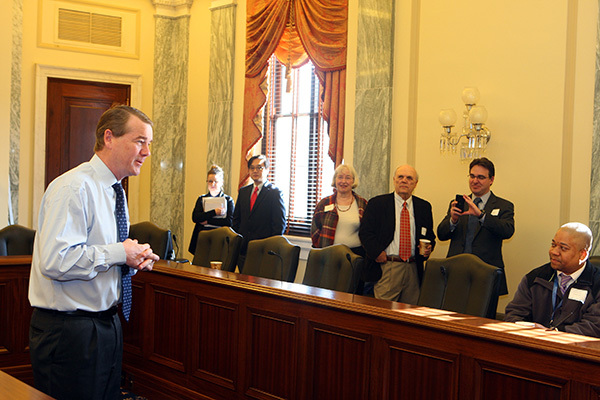 Much of the discussion focused on the detrimental effect that sequestration funding cuts and continued lack of growth in the NIH budget are having on research. 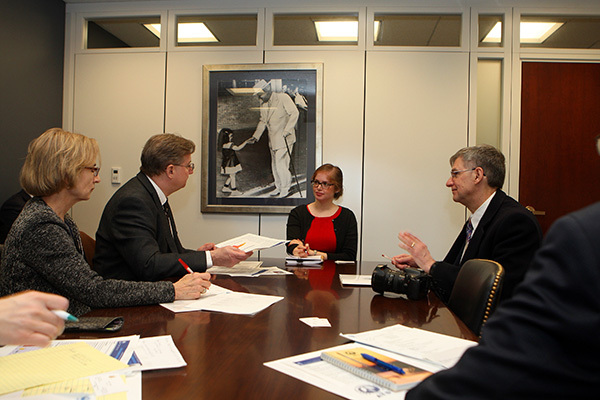 On TB, ATS members urged their members of Congress to support funding for domestic and global TB control programs through the Centers for Disease Control and Prevention and the U.S. Agency for International Development and for forthcoming legislation to strengthen domestic TB control. One of the key TB messages that ATS members relayed is that because of the airborne nature of the disease and the spread of drug resistant strains, TB control must be strengthened—not cut back. The message on tobacco control was to strongly oppose legislation to exempt large cigars from the Food and Drug Administration’s regulatory authority. Legislation has been introduced that would exempt large cigars (cigars that weigh more than 6 lbs/1000) from any FDA regulations. ATS advocates were equipped with candy flavored cigars—products clearly made for and marketed to kids—as examples of products that would be unregulated if the legislation was enacted. 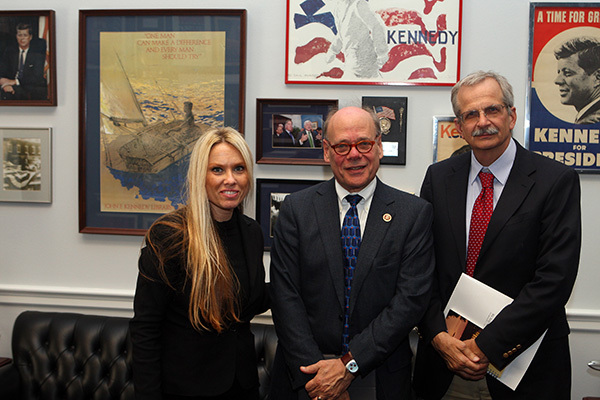 ATS members also advocated for funding for the Department of Veterans Affairs Research program. 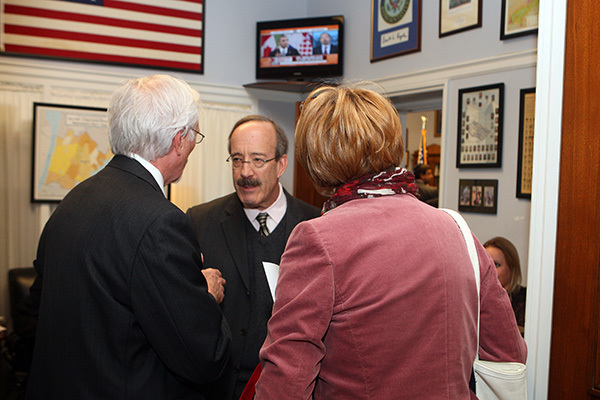 Lastly, patients and physicians urged Congress to act immediately to create a permanent fix to the Medicare SGR formula. It was pointed out that the continual threat of SGR-driven cuts is undermining both physician and patient confidence in the Medicare program. On the positive side, ATS members reminded Congress that the projected cost of a permanent fix is lower now than it has been in years—so now is the time for Congress to act.